For the purposes of the provisions of the Organic Law on Data Protection 15/1999, of December 13, on the Protection of Personal Data and of the EU Regulation 2016/679, DLUX Composites S.L. informs you that the data you voluntarily provide will be incorporated into an automated file, declared to the Data Protection Agency, whose aim is to make the commercial and administrative arrangements in the relationship with customers who have implemented all the security measures established by Royal Decree 1720/2007 of 21 December. Your data will be kept as long as it would be necessary to guarantee the purpose for which they have been collected. The undersigned guarantee the accuracy of the information provided and undertakes to communicate any changes occurring in them. Sending personal data is required to contact and receive information on products and services of DLUX Composites S.L. Failure to provide the requested personal data or not accepting this data protection policy is the inability to subscribe, register or receive information on products and services of DLUX Composites S.L. According to the provisions of the Organic Law on Data Protection 15/1999, of December 13, we inform you that you will be able to access your data, rectify, delete, limit its treatment, request its portability, and withdraw your consent for its treatment at any time. You can do this by sending a letter to DLUX Composites S.L., to the following address: C/ Mallorca 61, Entresuelo A 08029 Barcelona , Spain or sending an email to lopd@dluxbarcelona.com, indicating as subject «LOPD, ARCO Rights» and attaching a photocopy of your National Identity Card or any other means valid in law. You have the right to file a claim to the supervisory authority. DLUX Composites S.L. will not transfer your data to third parties. However, in case of being transferred to any other company, information prior to delivery would be realized, requesting the express consent of the affected. The User declares that he has been informed of the conditions of the personal data protection, accepting and consenting the automatic processing of the same by DLUX Composites S.L. in a manner and for the purposes stated in this Personal Data Protection Policy. Therefore, by using this form to contact DLUX Composites S.L., I am expressly authorizing the use of my data to send commercial communications, by any means (including email), and may cancel such authorization, at any time, by contacting The DLUX Composites S.L. DLUX Composites S.L. reserves the right to update, modify or delete information contained in its website, and may even limit or deny access to the information to such users. DLUX Composites S.L. assumes no responsibility for information contained on websites of third parties which may be accessed through “links” from any website owned by DLUX Composites S.L. 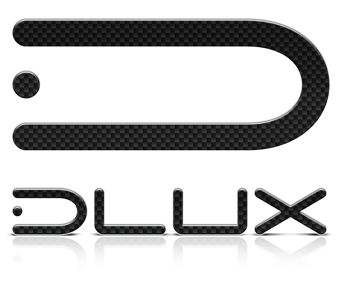 The presence of “links” on web pages of DLUX Composites S.L. has informational purposes only and in no case supposes suggestion, invitation or recognition on the same. The intellectual property rights of the content of web pages, their graphic design and codes belong to DLUX COMPOSITES SL and therefore their reproduction, distribution, public communication, transformation or any other activity that may affect the content of the Web is prohibited even citing the sources, without written consent of DLUX Composites S.L. In general the relations between DLUX Composites S.L. with the Users of telematic services on this website, are subject to Spanish legislation and jurisdiction. A cookie is a file that is downloaded to your computer when you access certain web pages. Cookies allow a website, among other things, to store and retrieve information about browsing habits of a user or his computer and, depending on the information they contain and the way you use your computer, can be used to recognize the user. Cookies are only associated with an anonymous user and his computer or device and do not provide references that allow to know his personal data. 1. Proper cookies: Those that are sent to the user’s computer from a computer or domain managed by the publisher itself and from which the service requested by the user is provided. 2. Third party cookies: Those that are sent to the user’s computer from a computer or domain that is not managed by the publisher, but by another entity that treats the data obtained through cookies. 3. Session Cookies: Those cookies that are designed to collect and store data while the user accesses a website. 4. Persistent Cookies: A type of cookies in which the data keeps stored in the terminal and can be accessed and processed during a defined period by the responsible for the cookie, and that can vary from a few minutes to several years. 5. Analytical Cookies: Those that, treated by us or by third parties, allow us to quantify the number of users and perform the measurement and statistical analysis of the use made by users of the service offered. For this, we analyze their navigation on our Website in order to improve the offer of products or services that we offer. 6. Advertising cookies: Those that allow the management, in the most effective manner possible, of advertising spaces that the publisher has included in a website, application or platform from which it provides the requested service based on criteria such as the content edited or the frequency at which the ads are displayed. 7. Behavioral advertising cookies: Those that allow the management, in the most effective manner possible, of advertising spaces that the publisher has included in a website, application or platform from which it provides the requested service. These cookies store information on users’ behavior obtained through the continuous observation of their browsing habits, allowing to develop a specific profile to display ads based on the same. It is also possible that by visiting a website or opening an email where an advertisement or promotional material about our products or services is published, a cookie that helps us later to show you ads related to the searches you’ve done, to develop a control of our announcements, for example, the number of times they are viewed, where they appear, at what time they are viewed, etc. will be installed in your browser. The cookies used on our website are session and third party cookies, and they enable us to store and access information in relation to the language, the type of browser used and other general characteristics predefined by the user, and also to track and analyze the activity carried out in order to introduce improvements and to provide our services in a more efficient and personalized manner. DLUX Composites S.L. does not use advertising or behavioral advertising cookies.